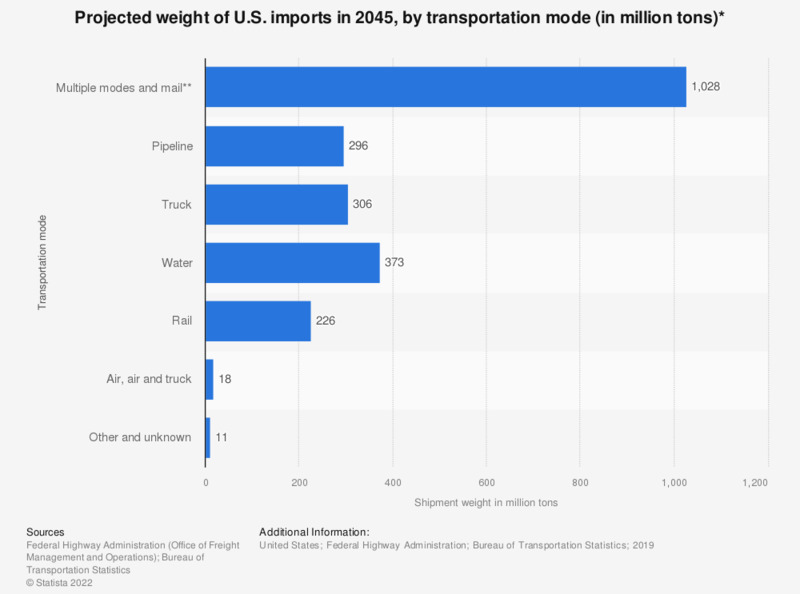 This statistic represents the projected weight of U.S. imports in 2045, with a breakdown by transportation mode. In 2045, the weight of U.S. imports transported by rail is estimated to be around 221 million tons. * Data does not include imports that pass through the United States from a foreign origin to a foreign destination by any mode. ** Includes import shipments that move domestically by a different mode than the mode used between the port and foreign location.